Gian Piero Staffa, based out of the Italian city of Bologna, could be described as a wine-seller—but that would be telling only a fraction of the story. After a long and lucrative career in marketing and communications, he has created Cento Vigne Italia, a successful e-commerce site that ships wine around the world. And a large part of this success came from his own evolution from traditional sales tactics to building an online community via social media. 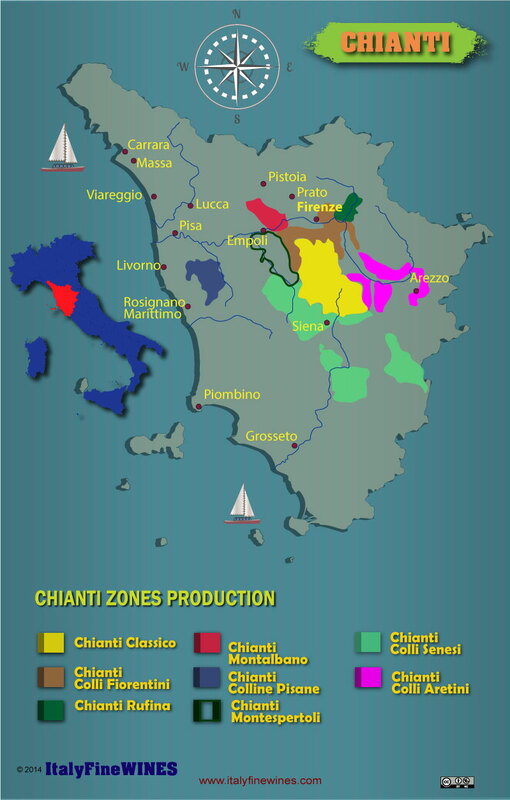 Cento Vigne Italia was created as a B2B platform that would connect smaller European wine producers to wine professionals around the world. 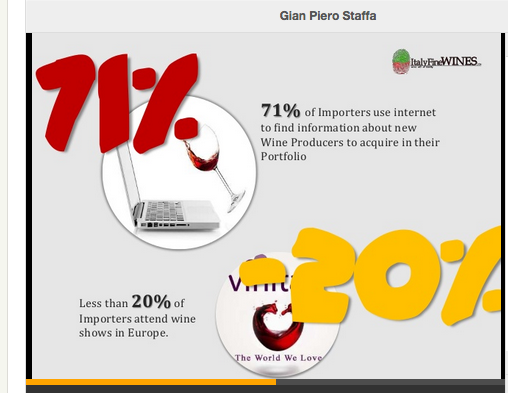 Gian Piero had already been actively publishing industry-related content on two English-language blogs meant to introduce these wines to an international audience: Italy Fine Wines and France Fine Wines (they have since been turned into digital wine guides). Even though he wasn’t tech-savvy in the beginning, Gian Piero knew that social media would change how marketers would connect their products and services to an interested—and international—audience. His modus operandi had always focused on adapting, and he recognised the tremendous potential to reach limitless numbers of people using social media. Gian Piero realised early on that visual content was an essential component of his social media strategy. He started prominently featuring bright, interactive infographics (created in-house) and tailored the content based off the interests of his followers on each account. This infographic is a great example of how he connects with his B2B audience with information presented in a highly visual way, no overt selling tactics required. The wines that Gian Piero features on his sites are not necessarily readily available in regular stores, so his goal is to educate, inform, and entertain to build up an engaged client base. With the widest selection of artisan wines on the market, Cento Vigne is not only an e-commerce site, but a hub of information about different kinds of wine, the wineries themselves, different wine production areas in Europe, as well as their history and culture. Gian Piero has become the master of reaching that wider, international audience through social media—and Hootsuite is an integral part of that success. Gian Piero uses Twitter, Facebook, Google+, Pinterest, Slideshare, LinkedIn, and YouTube channels to drive traffic back to the rich content on each of the three sites he manages—that means three completely different audiences—which is a tremendous group of tasks. He also manages and participates in over 40 LinkedIn groups, so altogether he is active in 50 social media groups. With only one hour available for social media per day, Gian Piero relies on Hootsuite to stay organized and aware of what his audience is saying. Before he started using Hootsuite, he was logging into each of his social media accounts for each of his websites—a great deal of time wasted every day. Now, he can spend more time actually creating the content his followers respond to, and conversing with them. 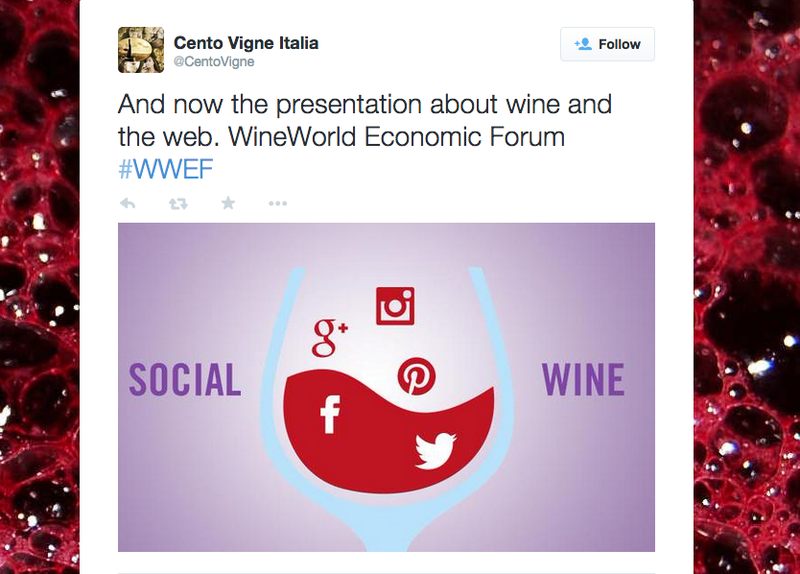 When he first started on Twitter (for Italy Fine Wines specifically), he built up a follower count of 3,500 followers within eight months. But that initial success skyrocketed once he began using Hootsuite—within only four months, his follower count jumped to over 400% to 15,000. When Gian Piero first created his two original blogs, the scope of his work was much smaller and he was able to juggle all the tasks without external assistance. As his sites grew more popular, however, he needed to get organised so he could continue creating engaging content. One of the first steps he took was creating tabs to separate all of his social channels, including Twitter, LinkedIn, Facebook, and YouTube. Now he monitors each channel within the tab using Streams—for example, he has three Twitter accounts (one for each site). Tip: To learn more about adding Tabs and Streams to your dashboard, take a look at this Hootsuite Tip. Scheduling and planning has also changed the way Gian Piero works—for the better. Because he spends a lot of time in meetings, he is able to synchronize his social media efforts with the times his audience is most active, which tends to be during the busiest part of his work day. Scheduling allows him to send out his posts at those peak hours without affecting his regular meeting times. And, once he started collaborating with another contributor on the France Fine Wines site, Gian Piero started to use the Hootsuite Teams. The Teams features allowed them to both post content to the appropriate channels quickly and seamlessly from different physical locations. This kind of close collaboration and efficiency would have been much more difficult, if not impossible, if Gian Piero was still connecting to each social channel individually. Gian Piero has always been open to innovation and new trends, which is how he went from traditional marketer to tech-savvy international communicator. Starting with email campaigns to reach new customers, then embracing new media with the help of Hootsuite, he has mastered the art of social marketing. He now teaches courses on social media marketing, and is an influencer in his field. The YouTube app on Hootsuite has impacted his international reputation in positive ways, too. By uploading videos of his appearances at speaking engagements and events, his brand—both professionally and as a social marketing innovator—has become a worldwide success. Improve your social media marketing strategy with Hootsuite Pro.